The death of Filmstruck is the latest symptom of our rapidly devolving film culture: This is a look at what we’ve lost, and what lies ahead. 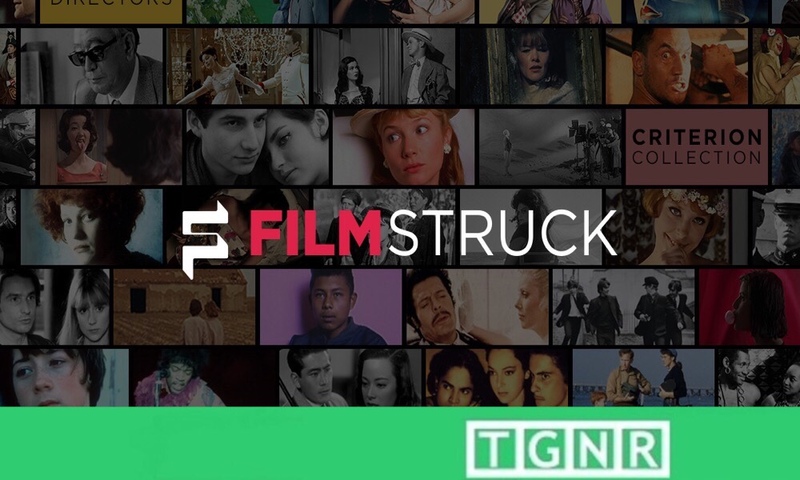 The demise of Filmstruck is a major loss to the world of cinema. If you were to log on to film Twittertm – that specialist ghetto of cinephiles (“or what you’d call film buffs” as Matthew remarks early in the late Bernardo Bertolucci’s The Dreamers) you would realize that many of us are in mourning for a rapidly depleting film culture. Across the country, most Americans do not have access to an art house theater, and it’s even less likely that they would have access to a repertory theater. Those in New York City can pick their poison between the Metrograph and Film Forum and Village Quad Cinema. Heck they’ve even got the NiteHawk in Williamsburg. Those in LA have the New Beverly. Most of us, however, are just plain out of luck. Two years ago Filmstruck seemed like the solution. A collaboration between Warner Brothers and the Criterion Collection, Filmstruck was a hand-curated outfit that seemed like film school on a Roku. From Rohmer to Ozu, Sembene to Akerman – world cinema was at your fingertips. You want to spend 83 minutes with Alma from Persona? Sure can. You could check in with Guido Anselmi or Sam Spade or Mabel Longhetti or any of several versions of Orpheus by just pressing a button…and now it’s gone. Every day we seem to forget more of our history. Hollywood is no exception. Often they seem to be leading the way. Hollywood has always been America’s dream factory, and there are some real talented and nice people out there – people who care desperately about movies. Yet, because of the vagaries of corporate America, and the rush to the all-mighty dollar that capitalism surely compels, Hollywood has become a system that is ruled by puffed-up Harvard MBA’s in slick two-button suits looking for ten percent profit on the next remake. Now, I don’t really have anything against these people, it’s just that many of them don’t really know or give a lick about the classic days of the industry, the history of world cinema, or even current world cinema beyond their own distribution pacts. They only worry whether their new one hundred million dollar piece of content is going to be allowed to play in China, and whether it will allay some its substantial budget with international pre-sales. In turn, we have the creation of these monster conglomerates through very big mergers such as Disney buying Fox, or in our case AT&T buying Time Warner, which has led directly to AT&T shutting down Filmstruck. See, they want to invest only in core businesses that will generate substantial return. This makes complete sense from a business perspective. Except, in the olden days of Hollywood the guys that ran the place, like Louis B. Mayer and Irving Thalberg, saw the picture business as more than just a profit machine. They understood they were creating a product that was intangible – a motion picture, not a widget. Sure, they were interested in making money, they damn well weren’t commies, but at the same time they were making something near Art and they were passionate about it. There was a time when it felt like cinema could change the world. In his review of The Dreamers (to circle back), Roger Ebert reminisces that back in ’68, Chicagoans were lined up on the sidewalk in the rain to see Godard’s Weekend. Imagine that now? Wouldn’t happen. AT&T closed Filmstruck because they believed it was niche. Great cinema like Casablanca and King Kong, The Seven Samurai and Weekend, which all those people lined up for all those years ago, is now just niche content. What’s the use of going to a movie theater if movies are just content no different from a YouTube video? Hollywood has forgotten its heroes. Cinema seems to have forgotten what cinema is all about – stories that move us or elucidate the world around us – or even sometimes elucidate feelings or emotions so deep-seated they would never stir without that silver-screen mirror. The last three movies I watched on Filmstruck were the creepy Japanese ghost story Tokaido Yotsuya Kaidan (1959), the vibrantly alive magical realist bossa nova-driven romance Black Orpheus (1959), and Mikio Naruse’s masterful Floating Clouds (1955). Maybe my feeling towards Filmstruck and cinema itself is like Naruse’s lovers’ warmer brighter past in French Indochina – a deeply romantic paradise to which we can never return. I certainly hope that’s not the case. I hope the future of cinema and the future of repertory streaming services spreads out before us like a mighty bounty. To ensure this, we all have do our part. Watch movies. Buy movies. All movies. Become cine-literate in everything. Especially the classics. What’s next? The terrific physical media company The Criterion Collection is starting their own streaming channel. Will it succeed? Only if enough of us are interested in preserving our globe’s sometimes shared, sometimes divergent cultural heritage. Films are doorways into past and future worlds. These stories have shaped us, and allowed a plethora of fascinating cultures to share their preoccupations, hopes, and fears with other, sometimes very different people, in every far-flung nook and cranny of this astonishing world. These dreams, stories, and feelings are too important to be allowed to just fade away.